Not at all intimidating. Not in the least. Lacey Duffy from NRAWomen.tv shows us how it is done. 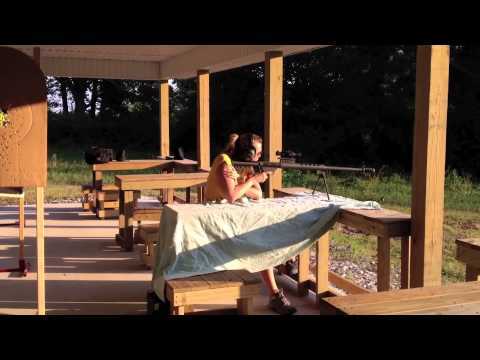 Annette Wachter (30 cal gal) is a seasoned pro. This is nothing new to her. Gabby from Armed Candy was just as wowed as I was. For Marti Davis, our resident pro hunter and Womens Outdoor News contributor, this was just a walk in the park. This chick knows how to shoot a rifle.